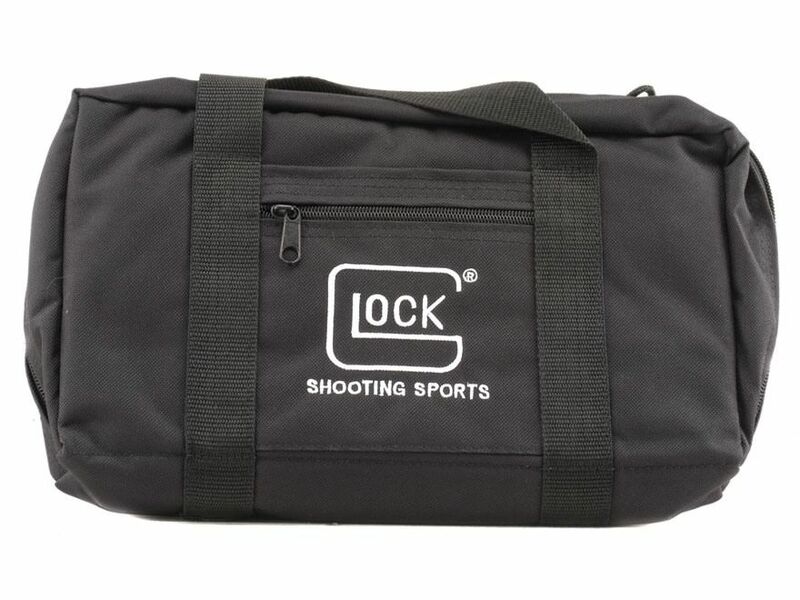 This padded nylon bag is perfect for a single handgun. Measures 15" x 4" x 7" and features wraparound handles and the Glock logo. Black.